Thinking of coming on tour with us? 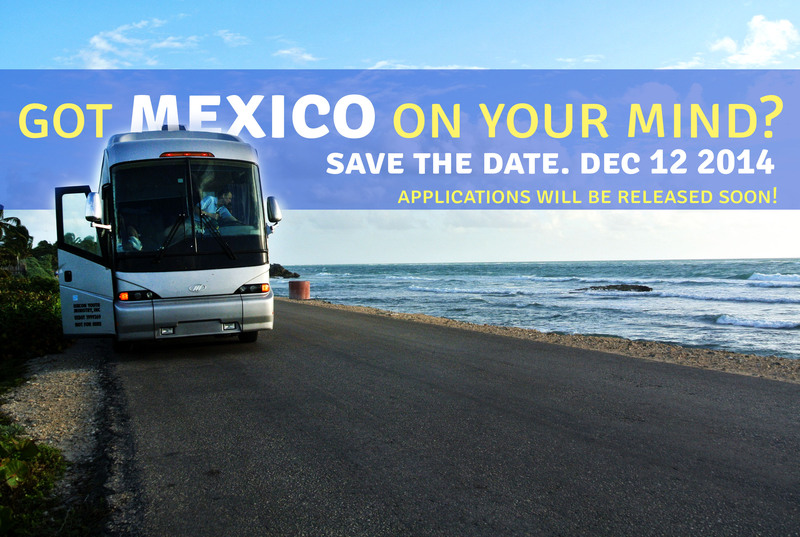 Applications for this year’s Mexico Bus Tour will be coming out soon! Until then, keep updated on what’s happening by following us on Facebook. If that’s not enough to satisfy you, you can look at our photo album or watch our promotional video from last year’s tour on replay. 31 youth. 20 days. 14 festivals. Hope to see you with us this year!